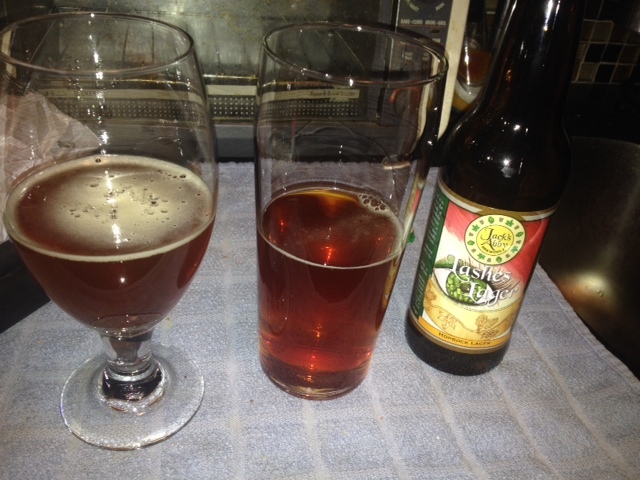 Eric: The Jack’s Abby frenzy continued with two more new (for me) beers. First was Lashes Hopbock Lager and I totally loved it. Bocks are usually not hoppy at all, and this one didn’t have the extreme hops like the IPAs we love, but it had just enough. The bit of hops combined perfectly with the strong caramel and bready malt flavors. The flavor and the low carbonation (typical of bocks) made it really easy to drink. Next was Jack’s Abby Smoke & Dagger. This is a smoked beer (German: Rauchbier). Smoked beer is made by drying malt over an open flame, then brewing beer with this malt. It gives the beer a smoky, almost bacon-ey flavor. This one wasn’t overwhelmingly smoky, which I think is a good thing. It smelled like a fireplace and bacon bits, and tasted like caramel. 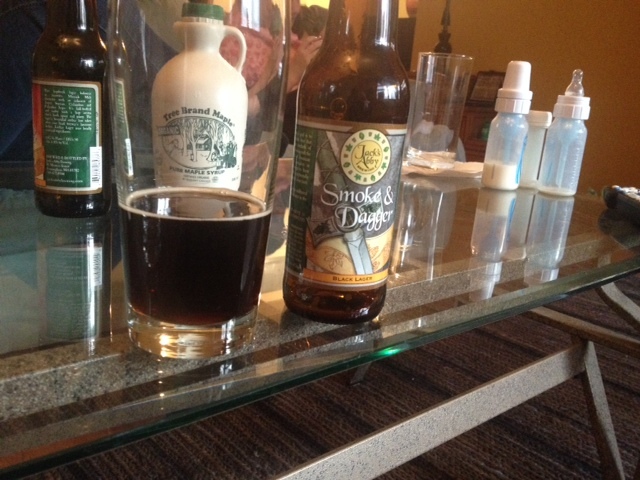 I don’t like smoked beer after more than a few sips, but this was one was good! 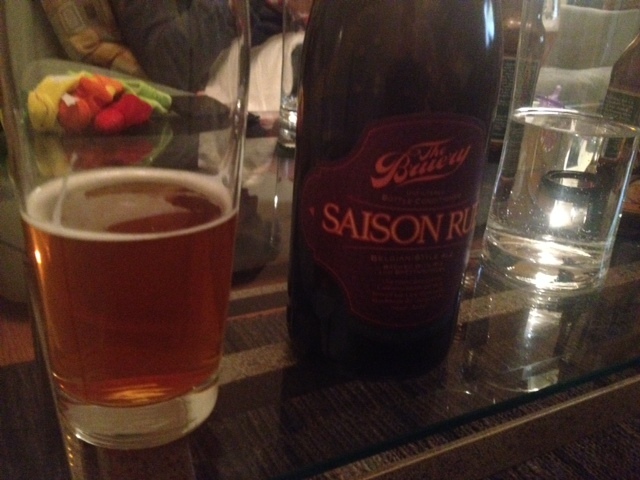 We ended on a surprisingly bad note with The Bruery Saison Rue. I bought this on my Beer Frenzy Friday and had been excitedly saving it in my beer closet. I was very disappointed with it. It didn’t have much funk or sourness…it actually tasted really weird. A bad example of a saison. I can’t put my finger on what they were trying to do, but in my opinion it didn’t work at all. I didn’t even finish my glass, and we didn’t finish the 750ml bottle. Not sure the last time that’s happened! 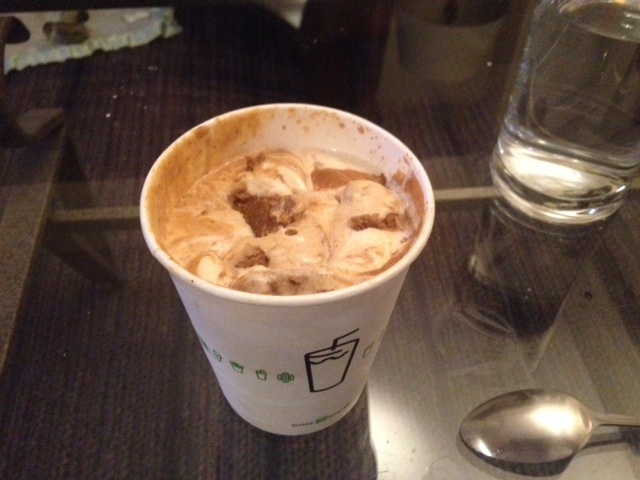 The day was saved by Shake Shack, where I had their Pumpkin Pie concrete with Maple Ginger Cheesecake ice cream!